There's so many Longhorn builds, and I would appreciate it if somebody could help me clarify! Which one is which, and which one I ultimately want to dl! Based on what I've gathered, 3718 is the stable version of the Longhorn Concept video, but with fewer features? If anyone wants win server 2000 rc1 for some strange strange reason, just ask and maybe I'll have time to upload somwhere. Admin edit: Please don't remove the thumbnail setup from the images. Its there for a reason. and 4039 would be closest to the CG PLEX longhorn? longhorn builds are different because they are compiled at different times. 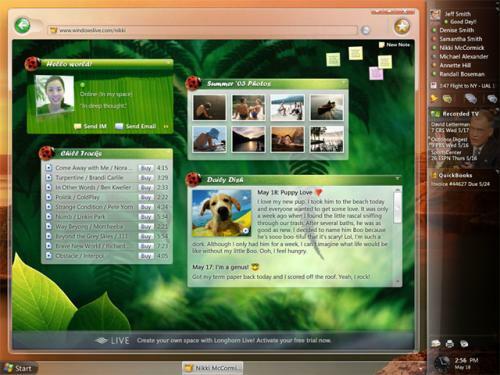 4039 uses plex and has DCE(DWM replaces DCE later), which is also a glassy interface. Builds like 3718 has the older plex which is abit different compared to 4039.
also, could you upload that win 2000 server rc1 build somewhere? it's build 2072, right? It's Windows 2000 Advanced Server RC2, not RC1. It's build 5.0.2128.1. If you still want it, I will try my best to get it up in a few weeks once I have a faster connection. 4039 is "plexier" than 3718? In which case I will download 4074 and 4039 Thanks!